We’re sprucing things up with the December update for Forza Motorsport 7, which arrives on December 4 on Xbox One and Windows 10 PC. Over the past few months, while Turn 10 has been adding new features and functionality to the game based on community feedback, we’ve also been working on giving the Forza 7 menus a fresh coat of paint. The first result of all that hard work arrives this month for all players to enjoy. We’ve also introduced some upgrades and improvements throughout other areas of the game as well, including a much-improved force feedback system for wheel users, a new dynamic opponent labels system, a new Spotlight car coming free for all Forza 7 players, alongside lots of improvements and fixes across the game. When you start up Forza Motorsport 7 after Tuesday’s update, straight away you’re going to notice some visual changes. In addition to a new splash screen, we’ve made some significant improvements to the main menu. The old slightly angled menu is replaced with a new flat layout. The car and driver have moved to the right-hand side of the screen. In addition, we’ve replaced the black and white image backgrounds for the menu tiles with beautiful new color images. Sharp-eyed players will also notice that we’ve changed the tile highlight color from red to blue, and we’ve changed the opacity of tiles that do not have artwork, to make those tiles feel more active. The team has also improved transition times for certain menu items; for example, it now takes less time to get to the Forza Driver’s Cup menu when selecting that tile from the main menu. The menus aren’t the only items getting a visual overhaul in December. This update also introduces a new opponent label system into the game. These labels are the information panels that you see in multiplayer lobbies, showing a player’s Gamertag, Forza driver level, and badge above the car. The new opponent label system brings a uniform, flattened look to these labels. Labels will also be dynamic, shifting between three “states” depending on an opponent’s proximity to the player. The closest “full” state presents a player’s Gamertag, their position in the race, and some event-relevant information such as distance ahead (or behind, when looking backwards), total drift score, or “It” status when playing Tag games. At medium distance, opponent labels will be shown in condensed state, with just a player’s GT and position shown. A furthest distance, labels will appear in “far” state, showing just the player’s position in the race. We’ve also made some design adjustments to in-race HUD information items with the December update. For example, the lap time HUD elements have been made more uniform and the lap counter has moved to the upper right corner of the screen. 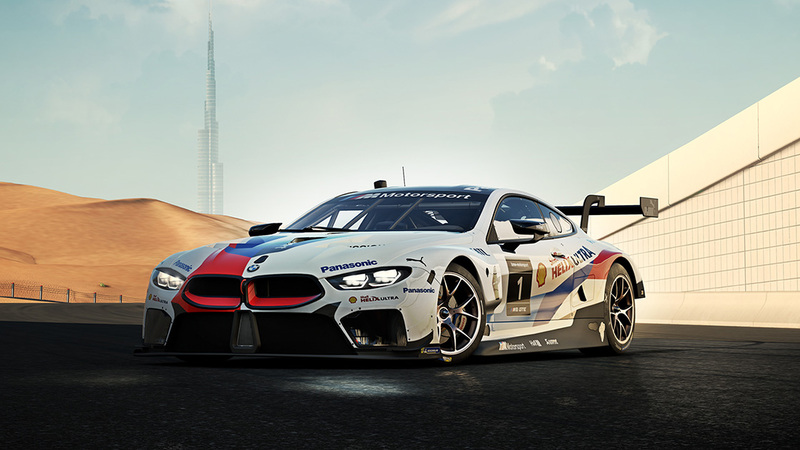 The new menus and new opponent labels are part of an ongoing effort to offer players a great looking and informative Forza Motorsport 7 experience. Look for more updates to these aspects of the game in the coming months. The December update is bringing more good stuff with it as well. Rivals players will now automatically get a new ghost car to challenge after they’ve beaten a Rival. In addition, Specialty Dealer will now display the original collector score alongside the updated collector score, as well as both original price and “sale” price, along with the discount percentage. The new Forza 7 Leagues Season has already begun! Get ready for four series of intense racing action, where you’ll be driving everything from Indycar racers to Vintage Sport Coupe cars and much more. There are great items up for grabs this month as well, including the 1988 Lamborghini Countach LP5000 QV, the 1939 Maserati 8CTF, as well as the Mime and Karateka Driver Gear suits. Celebrate the holidays with a host of #Forzathon events arriving throughout the month of December. Whether you’re aiming to rack up drift points or just looking to win as many races as possible, there’s a #Forzathon event for you. Short on credits? Don’t miss the “Holiday Races” event happening now; simply complete 10 races and you’ll add a cool 300,000 credits to your FM7 bank account. Other goodies coming under the #Forzathon tree this month include the 2014 BAC Mono, the 1957 Ferrari 250 California, and the holiday themed Gingerbread Man Driver Gear suit. Keep your eye on the #Forzathon section in the game for all the latest. Hot-lappers can expect a new Spotlight Rivals car starring the 2018 #1 BMW M Motorsport M8 GTE on the Nürburgring GP circuit. Elsewhere, we’ve got an event starring the 1985 Ford RS200 Evolution on Laguna Seca, as well as an event in the rain at Silverstone starring the 2005 Hot Wheels Ford Mustang. Multiplayer hoppers will see new ghost races, the return of Open Wheel Legends, and more. For a deep dive on all of the changes that are part of the December Update, as well as a first look at some of the features and improvements that are still to come, don’t miss our December edition of “Forza Monthly,” which airs on December 13 at 10 a.m. Pacific on the official Forza Mixer and Twitch channels. We’ll be joined by special guests from around Turn 10 and taking your questions as well.